Upper Dolpo Trek offers the crossing of some of the highest passes in the Himalaya including Kang La pass (5151m), Saldang-La pass (4785m), Jeng La pass (4845m) and Nangdo-la pass (5110m) among others. These passes provide breathtaking spectacular views of Dhaulagiri and Kanjiroba Himal ranges. Upper Dolpo Trek is a spiritual and mythical journey to Dolpo, a remote trans Himalayan region, bordered by the enchanting Tibet in the North and mighty Dhaulagiri Himalayan ranges in the south. This is rather an adventurous trek through a landscape enamored with age-old Tibetan culture, pristine wilderness and highest of Himalayan passes. As it was once part of Tibet, Buddhist people of Dolpo are culturally and racially closer to the Tibet than Nepal. There are many gompas and monasteries in Dolpo including 11th century Shey Gompa and Thasung Gompa. You will also visit Tibetan villages of Ringmo, Renje, Sibu, Serkem etc. One of the major highlights of the trek is the visit to Phokundo Lake at an elevation of 3612m. Already declared a Ramsar site, Phoksudo Lake is a freshwater wetland surrounded by glaciers and falls within Shey Phosumdo National Park. 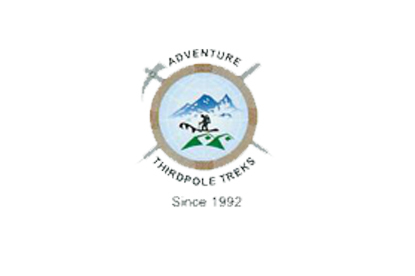 In fact, much of the trekking in the higher belt of Dolpo will be through Shey Phoksumdo National Park. The park consists of a rich diversity of flora and fauna such as Himalayan birch, juniper, spruce, hemlock, cedar, rhododendron, bamboo, snow leopard, musk deer, Himalayan Thar, Tibetan sheep etc. Upper Dolpo Trek offers the crossing of some of the highest passes in the Himalaya including Kang La pass (5151m), Saldang -La pass (4785m), Jeng La pass (4845m) and Nangdo-la pass (5110m) among others. These passes provide breathtaking spectacular views of Dhaulagiri and Kanjiroba Himal ranges. Since Dolpo is a remote region, trekkers will have to fly from Kathmandu to Nepalgunj and then to Juphal to start the trek. You will drop down to Dunai via Dho Tarap and fly same way back to Nepalgunj and Kathmandu. 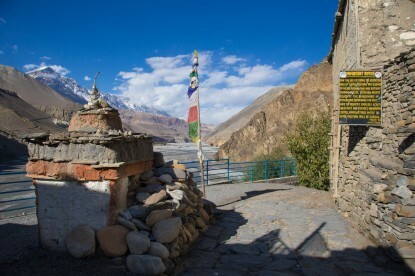 The best seasons for Upper Dolpo Trek is during Spring or Autumn. Upon your arrival at Tribhuwan International Airport (TIA), you will be met by our Airport Representative, and transfer to hotel. There will be a brief pre- trip group discussion followed by welcome dinner in the evening. We do the sightseeing tour in the historic Durbar Square, the sacred Hindu temple of Pashupatinath, the famous 'Monkey Temple' (Swayambhunath) and Buddhist shrine (Bouddhanath), which is one of the largest stupas in Aisa are listed as the UNESCO World Heritage Sites. We transfer to the domestic airport for one and half hour scenic flight to Nepalgung, a tropical zone of Nepal. Here, we have a look around the town lying with the Indian border. Transfer to the airport early morning for the flight to Juphal over the Himalayan foothills, with the view of Annapurna and Dhaulagiri peaks to the north. On arriving at Juphal in the 45 minutes our trekking staffs will receive you then commence trek down to Dunai village (2,850m). Diverting the route from the King Mahendra's statue to cross the new suspension bridge and turning west, the path soon begins to climb up the side of Thulo Bheri valley, where it crests a ridge and then enters the Phoksundo river valley, and reach another ridge which is marked by cairns at 2,499m. This wonderful walk viewing of the Kagmara Peak leads to a large side gorge, then descending gently on the long downhill slope to Dhera. We'll pass by the lower part of Rahagaon and then descending to the village water supply at the Phoksundo Khola. Passing through another gorge, the path heads downhill through deep dark forests to a large stream, in the end, emerging at the entrance to the Shey Phoksundo National Park at Ankhe. Being several ups and down and several streams along the way the trail eventually leaves the forests and cross a grassy slope high above the river. After a while, the path once begins to descend steeply into the forest until it reaches a cliff, whereby a dizzying drop on a wobbly stone staircase to the river bank has to be undertaken. The journey continues upstream to a bridge until you get Sulighat. As the journey continues after crossing to the western side of the Phoksundo Khola on a wooden bridge, then the path follows the west bank of the Pungmo Khola which leads all the way to Phoksundo Lake 3,500m near Ringmo village. The path passes through a cedar forest and finally to Palam, where the houses here are buried in the sandy soil. One can see the distant views of Phoksundo Lake from the ridge and a spectacular 300m high waterfall. We'll then a descent through birch forests to the upper reaches of the Phoksundo Khola, and then to the picturesque settlement of Ringmo with its mud plastered Chhortens and mani walls and head Phoksundo Lake. Rest day for acclimatization. Explore Ringmo village and its Tibetan Buddhist Monastery. At the western rim of the lake, the path leads through a lush meadow that opens up into the flood plain of the Phoksundo Khola. Then the walk leads through the valley, crossing the river and avoiding the occasional boggy marsh underfoot and then coming on the bank of the river to the overnight camp. Cross an old wooden bridge is in the meeting point of the Phoksundo Khola. You should climb over the rocks and boulders and to ford a stream that rushes down the steep valley. A hard climb from here until to the top of the valley is the place from where Kang-La, the pass which will lead towards Shey Gompa is seen. Start strenuous climb especially on the slate screed. From the top of Kang-la 5,360m, there are excellent views down upon a large valley., The path leads along meandering trek steeply descend to the valley along the banks of the river, crossing and re-crossing it. There are mud caves lining the hills overlooking the river and we pass through meadows where hairy yaks, hundreds of sheep and domestic mountain goat grazing. A red Chhorten herald our arrival at Shey Gompa 4,500m arrives where a quaint wooden, log bridge leads up to Shey Gompa. Another rest day for a local hike around Shey Gompa. Shey Gompa belongs to the Chaiba community, followers of great saint Padmasambhava, known as Guru Rinpoche and Kagyu sects. It was the first Kagyupa monastery and its founder was the lama Tenzing Ra-Pa, built during the 11th century. Shey is famous for its ancient pre-Buddhist culture the Bon Po. In Dolpo, the ancient Tibetan way of life combines animism with the teaching of Buddha. Drutup Yeshe first introduced Buddhism in the Dolpo valley. Following a trail which descends a bit into the valley that the path begins the route over rocks and coarse eroded soil until it brings us to the top of Saldang-la 5,200m. Then you will descend to Namduna Gaun 4,800m. Like Shey, the Namgung monastery is of the Karma-pa sect. The monastery, a red stone structure, is built against the backdrop of a cliff on the north wall of a gorge. The economy of the region is based on agriculture. Barley, buckwheat, oilseed, potato, and radish are cultivated. Leaving the Namduna Gaun, the route leads to a hard climb up a slope and begins a long cross along some dusty barren mountains at least for 3 hours; the largest village of the inner Dolpo area Saldang 3,620m appears below on a plateau high above the Nam Khongmala. Saldang a Himalayan village is situated below the tree line is known as the dry zone of the Trans-Himalayan Tibetan plateau. Prosperous Saldang village consists of five villages having around eighty houses with nearly six hundred people. After the Chinese invasion of Tibet in 1959, trade with Tibet was virtually stopped. You will walk toward an unexplored area by westerners. The trail follows the Nang Chu river most of the way on this windy place. Trekking is on the fairly gradual path with few ups and downs slope and then passes through the small settlement of Tiling and Luri Gaun till we reach to our overnight camp at Yangze also known as Yangtsher, just before Yangtze near Luri gaon. You will cross the tributary Panzang river, a short walk from here brings us to an untouched region of Yangtze 4,960m and it's a very old Bon-Po Monastery for the overnight halt with time for exploration around the villages and the Monastery. For saving time and energy, we'll repeat the path back towards Saldang village which will be shorter than the other northwestern route. Following the river bed, we pass through terraced fields, stupas, Chhortens, heaps of mani stones and a Chaiba monastery, then passing through the Namdo village. As your journey continues further down the river for another two hours to camp near the small settlement of Sibu arrives. Today you walk to Nam Khong Khola for a while and cross away caravan of laden yaks that are on their way towards the border of Tibet. In the end, we part turning east till we arrive at the confluence of two small tributaries, from here our walk leads to a steep climb to the bottom of Jeng la (4,900m), for the overnight stay. Having an excellent view of snow ranges emerges to the south. 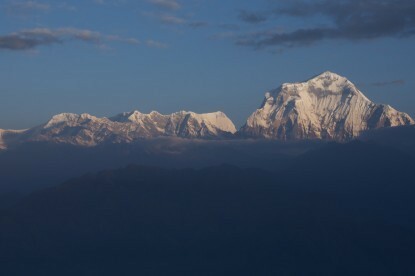 The north face of the Dhaulagiri massif from the top of the Jeng La (5,090m) Then descends to Tarap valley. 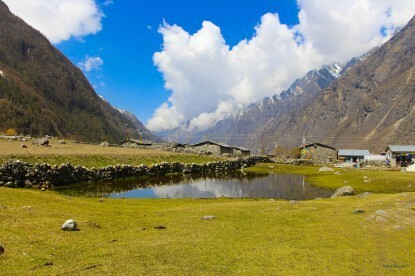 Tarap is a charming valley in high mountains. Tarap Chu is having villages with its cultivated fields with numbers of gompas and Chhortens. Here you stop for the night at Tokyu monastery (4,200m). We have a full day rest here for exploration in the neighboring areas. 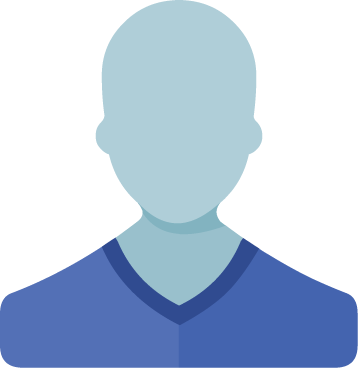 During the visit, you will have an opportunity to interact with the people local. They wear typical homespun clothing that is sometimes dyed maroon and they prefer Tibetan style combat (boots with upturned toes) for footwear. Both men and women often wear both religious amulets and strings of coral and turquoise. The villagers are both Bon Po and Buddhist of Nyingmapa sect. The Buddhist gompa is the nearest one to the campsite, the Bon Gompa is nearby. Today's walk is a moderate walk. First, we descend towards a wide valley which eventually narrows into a gorge we then walk along the juniper bush and wild rose, typical of dry inner valleys, just above the tree line. We reach the meeting of the Tarap Chu and the Lang Khola, a stream that joins with Tarap River from further east. We will fix our camp on a nice field, this place is also known as Kama Kharka (3,800m). Continuing downhill the gorge of the Tarap River, today's walk is one of the exciting days of the entire trek as the valley becomes so narrow in a deep gorge, in somewhere, we even can jump from one side to another. Rising high above on a trail built from the steep slopes might come across people from Dolpo taking their shepherd to lower pastures for the winter. The gorge also offers unexpected adventure and thrills. Finally, we reach the camping spot beside the Tarap Khola at Khanigaon. Following the trail to the village of Lalberi, we pass through an area of beautiful woodland, before descending into another gorge our walk continue following the river again downstream to reach Tarakot where we will be greeted by the colorful fields. Tarakot is an old fortress town known by the local people as Dzong. Before the Gorkha dynasty, Tarakot was the capital and had a dzong or fort. The famous Sandul gompa lies around 8 km east of Tarakot and at the junction of Barbung Khola and Tarap Chu. It stands on a knoll to the south of Bheri River. We'll camp 150 meters below Tarakot, near the police post or we climb a steep hill for over an hour to the village which is the other side of Tarakot valley. There are Chhortens and gompas on the edge of a grassy plateau. The walk continues beside the Bheri River in a wonderful gorge with pine trees and an ingenious path built above the river. On reaching Dunai, we celebrate the day with drinks on the occasion of grand success of the Doplo circuit. The journey back to Jhuphal is a short distance walk. We' take a scenic flight to Nepalgunj in the morning, over the Himalayan foothills overlooking dramatic views of including Annapurna and Dhaulagiri to the north. Either we take another flight to KTM or stay in Nepaljung. Full day at leisure and either relax at hotel or explore the Thamel for shopping etc. We transfer you to the airport for your final departure.